Alex Rodriguez is involved in a nasty child support battle with his ex-wife Cynthia Scurtis. Get the deets on the former MLB player trying to lower his $115,000/month child support payment, plus the latest in Tamar Braxton and Vince Herbert's divorce..
Alex Rodriguez has been shelling out HELLA cash a month for child support and now, he's over it. Especially since his income has made a drastic change. Sources tell TMZ the former Yankees player, who's currently dating Jennifer Lopez, has been going back and forth with his ex-wife Cynthia Scurtis for months trying to get his spousal/child support payments lowered. As of now, A-Rod reportedly pays $115,000 a month TAX FREE (Must.Be.Nice.) in combined spousal and child support to help support their two daughters - 13-year-old Natasha and 10-year-old Ella. He has been paying that amount since they divorced in 2008. Once A-Rod retired from the Yankees, the agreement was supposed to be adjusted, but that never happened. He went from raking in $30 million a year when he was with the Yankees, to now making around $3 million a year, which is a 90% drop in income. We're sure his bank accounts are still fat though. TMZ reports A-Rod is saying he's paying for her, her new husband and their new baby too. And she doesn't use her Master's Degree. Our sources say Alex is especially vexed because he claims Cynthia is now a rich woman with millions in the bank, 3 homes and multiple cars. He grouses she has a master's degree in psychology yet chooses not to work. He also says she has a new child and a fiance, and he feels he's now bankrolling all of them. $115K/month IS a lot of cash to cough up a month. 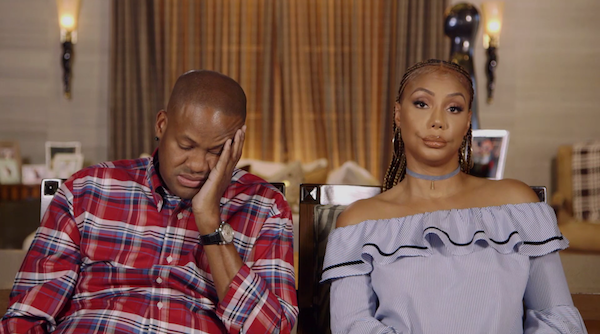 Tamar Braxton wanst to get this divorce from Vince Herbert over and DONE with after filing in October 2017, one month shy of their 9-year wedding anniversary. Apparently, Vince is MIA when it comes to the divorce proceeding, so Tamar reportedly wants the judge to step in and sign off on the paperwork as soon as possible. Likely, so she and her new boo can live and love in peace. According to court documents obtained by The Blast, Tamar is asking a judge to grant her a default judgment in the case because Vince has been blowing off responding to her petition for divorce. The divorce had been in limbo for several months and Tamar was warned earlier this year to get it moving and to serve Vince with the legal docs, which she had failed to do for some time. Tamar finally served him on September 6 and Vince was given 30 days to respond in court. 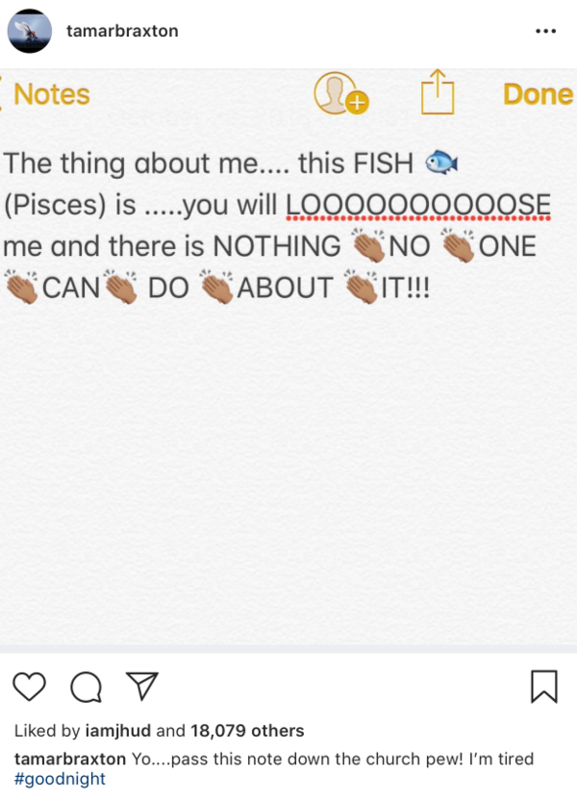 Vince failed to show up or file court docs within the 30-day deadline and Tamar Braxton wasted no time to file a motion seeking for the judge to wrap it up without Vince … so the divorce can become final once and for all. The judge could determine the amount of child and spousal support without Vince appearing and split their community property down the middle. See THIS is what i Be talmbout!!! It’s THIS man @snoopdogg birthday but his love for his woman @bosslady_ent mean more to him than HIMSELF!!! If I don’t mean this to the man I love then #bye You can HAVE IT!!!! Some of y’all is worried about the wrong thing @otgenasis said... “ but who gone FCK wit u tho?? In the end?? ?” Happy birthday unc!! You two have inspired me THIS morning!!! NEXT: Does Cassie Have SHADY Words For Her Ex-Boyfriend Diddy?